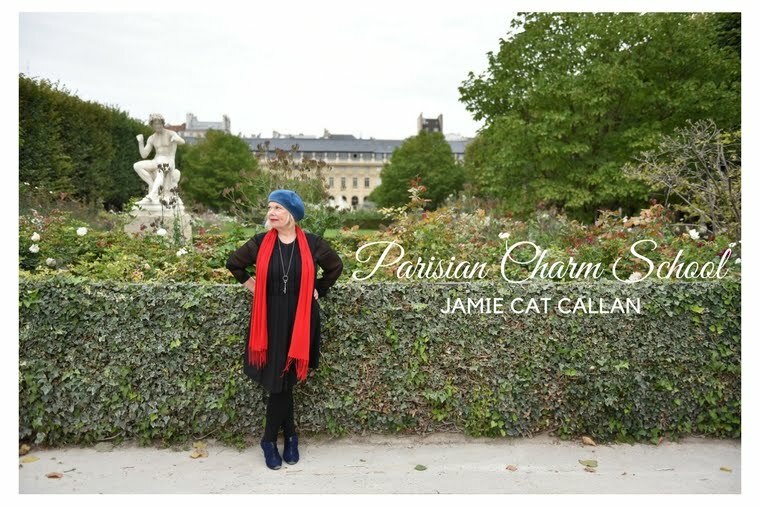 Jamie Cat Callan: Bonjour, Barcelona! It's been a hectic time. before too much time has passed. So in Barcelona--first, we went to Parc Guell to see the Gaudi. Here is some lovely ceramic used for the outdoor park benches. 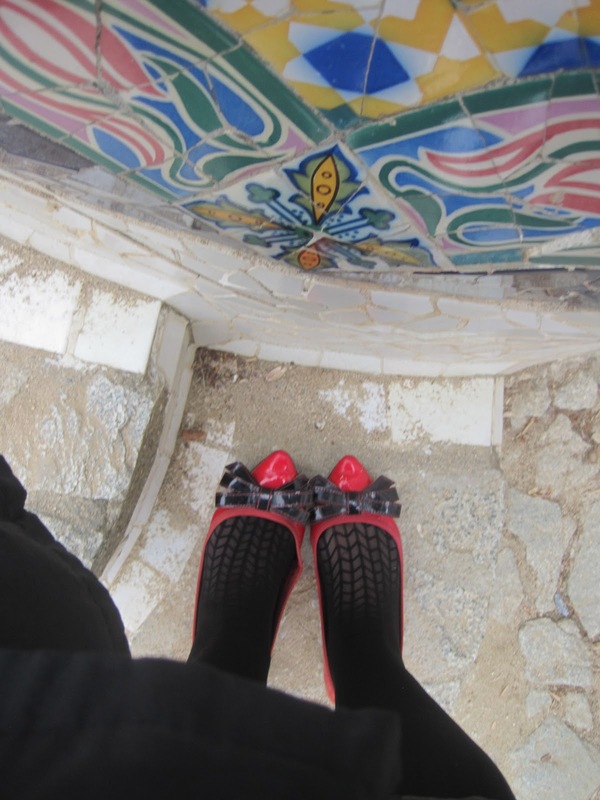 And here I am with my red shoes and some lovely Gaudi ceramic. You can see, he broke them into pieces and them cemented them back together. So beautiful! And here's another view of the ceramics. And look at this lovely stone work along the path in the park. Doesn't it look like palm trees? Something out of The Flintstones! I loved the whimsy of Gaudi! 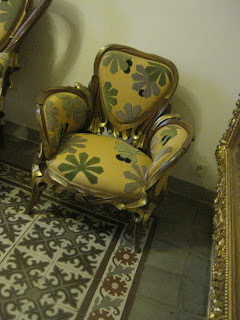 Oh, and inside the museum, I found this chair he designed. 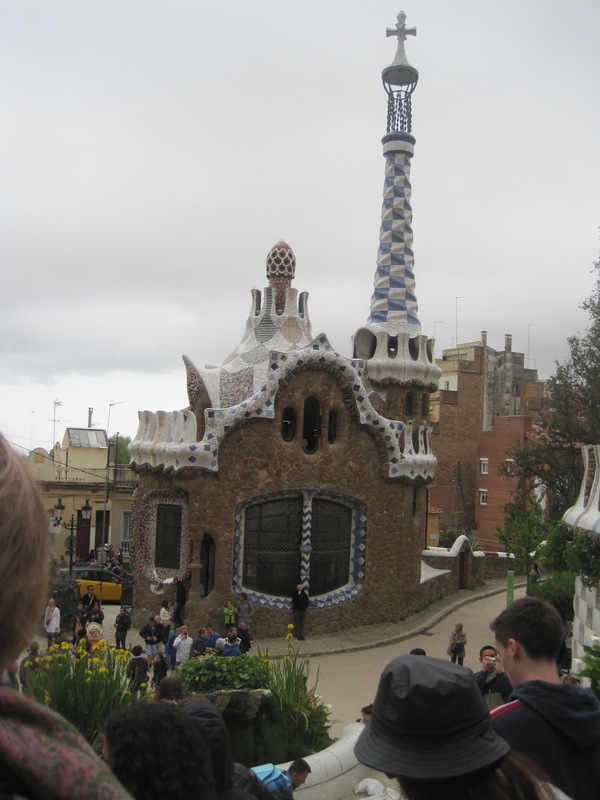 It's amazing to think he designed this almost 100 years ago! Doesn't it look like something you'd find in Anthropologie today!? I also took note of street fashion in Barcelona. 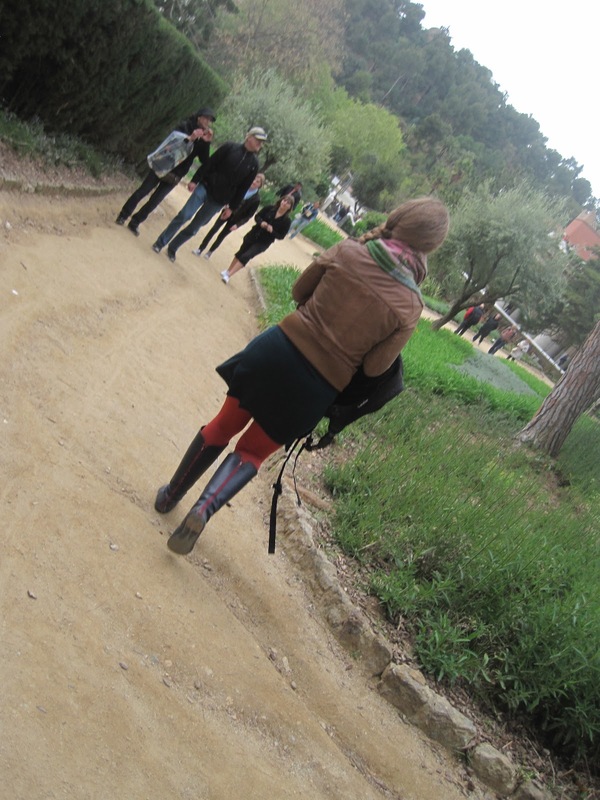 Here's a girl with red tights. Notice the red in the boot zippers too. Very cute! We couldn't get into the Picasso Museum because the incredibly long line. 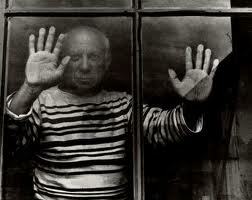 Picasso, I love you and I especially love your striped sailor sweaters! I did find this lady with striped socks right outside the Picasso Musem and she let me take her photo. Oh, and here's a very typical outfit I find in a store window. I see this design a lot in Southern France, as well. It seems that the southerners go in for patterns more than the gals in Paris and the north. Interesting, non? What makes them so whimsical, so fanciful, so full of joie de vivre!? Then again, maybe it's the tapas! 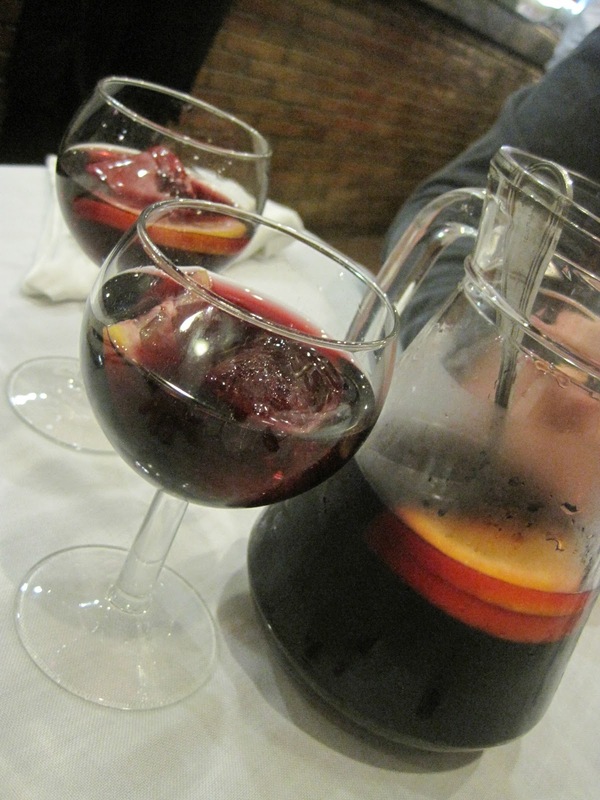 Could it be the paella? Maybe it's the chocolat fondant? I do believe it has something to do with LOVE! After all, doesn't that make the world go round? What an unforgettable trip this was, how exciting! Indeed LOVE makes everything good happen, Jaimie!